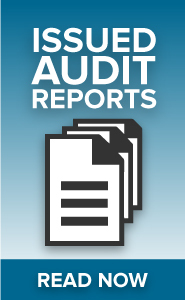 This page has information and links about documents produced by our office including issued audit reports, annual audit plans (previously called strategic audit plans), accomplishments reports, and peer reviews. 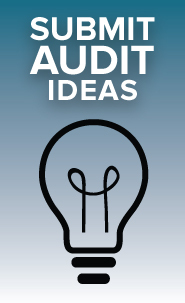 Audit Reports, Special Requests, Risk Assessments, and other reportable non-audit work from the past five fiscal years are available here. Older reports are available here, or they can be requested through our office. Each year, we utilize a planning process to identify the audit projects our office intends to conduct in the coming year. Through this process, we consider expectations from internal and external stakeholders and evaluate current and potential risk factors to indicate areas where there may be a high level of exposure or potential liability for the City. We prioritize these high-risk areas for audits, estimate a timetable for completing them, and communicate the plan to the City Council Audit and Finance Committee for their review and comment. Each year we present the Audit and Finance Committee with an overview of the previous year's accomplishments. Every six months we present the Audit and Finance Committee with an update of CAIU activities. As mandated by City Code and auditing standards, our office undergoes a peer review every three years. The most recent review was conducted in 2015.